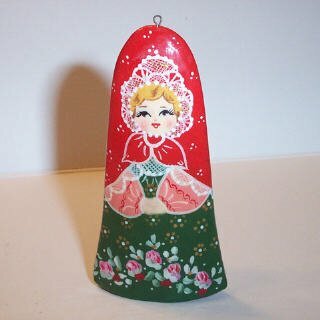 This ornate red and green Matryoshka ornament is bell shaped. Painted with great detail with lacy details and very detail floral patterns. The face on this ornament is very nice.